Starting with the ARRI AMIRA, this is a documentary-style camera which combines image quality with ease of operation. Looking first at the body of the camera, it is ergonomically designed for a single-operator use and optimised for extended shoulder mount operation. While designed to suit the operator, this camera is also built to weather life on a professional set. The body consists of a solid internal skeleton to guarantee that the lens and camera remain stable. Electronics are tightly sealed preventing damage by humidity or dust, and the integrated thermal core provides an efficient cooling system so the camera does not overheat. Whatever environment you find yourself in, the AMIRA will not let you down even when faced with more challenging conditions. Integrated into the system are motorised ND filters, with zebra and false colour tools to help with controlling exposure. An advanced peaking function allows operators to speedily focus the image. Switches and configurable user buttons are placed intuitively along the body of the camera, allowing for quick and easy access. The multi-viewfinder combines a high-resolution OLED eyepiece with a fold-away LCD monitor to display live image when the eyepiece is not in use. The monitor also provides complete access to camera functions, so the AMIRA doesn’t have to leave your shoulder. To further minimise disturbance during filming, multi-channel audio options can be accessed from the AMIRA’s right side. So, what else is great about the AMIRA? Well, there’s the EF and B4 lens support, a colour bar allowing you to judge colourimetry of the camera output via the monitor, waveform display to accurately gauge exposure levels, and enhanced HD-SDI outputs: these allow overlay information such as timecode to be viewed on the monitor as well as the viewfinder. The HD-SDI signal input can also be used as a further ‘genlock-like’ sync option. To match with the quality design of the AMIRA, the image quality of this camera is on par with the ARRI ALEXA. This camera records in HD 1080 or 2K, suitable for any kind of distribution format. A few more key features which allow the AMIRA to deliver realistic and good-looking images are the dynamic range of more than 14 stops, subtle highlighting handling, low noise levels, natural colour rendering, and speeds of up to 200fps. AMIRA records Rec 709 or Log C images using ProRes LT, 422, 422HQ or 444 codecs. To allow for an easy transition into postproduction, the AMIRA records to in-camera CFast 2.0 flash memory cards with super-quick data rates. CFast 2.0 is an open format, easily accessible to anyone and delivers quick transfer speeds and long recording times. Costs per GB are brought right down and higher-than-broadcast-quality image pipelines are made available even to low budget productions. Finally, the AMIRA features high-quality grading for low-budget prices.If your project lacks the luxury of having acres of time in postproduction, the AMIRA can ease some of these time pressures. This camera is pre-loaded with many 3D LUT-based looks which can be applied while still on set. 3D LUTs can be custom built and loaded into the cameras for a more original look, these can even be modified while filming. 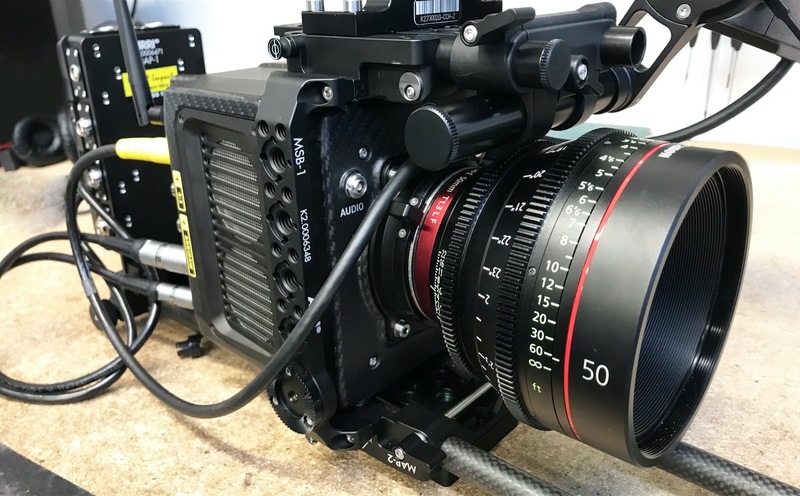 This allows cinematographers to create any look that they can imagine, allowing a greater degree of creative control, while reducing costs in post. Many brands boast of their cameras’ compact and lightweight capacities. With the ALEXA MINI you really do get a camera which fits this description. The ALEXA MINI is a compact, lightweight, and self-contained camera, weighing in at only 5lbs (body and PL lens mount). This is a versatile additional tool which fits nicely into the ALEXA range. In order to maintain ARRI’s top build quality in such a small body, a number of solutions are integrated into the design. These features include sealed electronics, a lightweight carbon body with a tough titanium PL, directly linked with the new internal sensor mount. This ensures a stable flange focal distance, whatever lens is in use. Despite engineering reductions in size, ARRI has not reduced image quality on the ALEXA MINI system. Used with any other ALEXA cameras the MINI will perfectly match the other cameras in image quality, even on anamorphic productions. This is due to the 4:3 sensor and automatic de-squeeze function. To achieve the highest overall image quality ARRI also uses bigger and better pixels on the sensor in the place of using a large number of smaller pixels. This design means that a wider dynamic range with truer colours is captured. Added to this is lower noise, and more natural skin tones, whatever the chosen output option. Options include recording in ProRes or ARRIRAW, either in-camera or to CFast 2.0 cards. ALEXA MINI can record 4K UHD ProRes images, facilitating real-time 4K UHD output. Options for operating the ALEXA MINI are incredibly versatile. Operators can use a wireless remote control, the ARRI MVF-1 attachment viewfinder, or with the monitor using the buttons placed on the body of the camera. While running, this system stays as quiet as a mouse, and can comfortably be held in an outstretched arm with a hand rig – ideal for small shooting conditions. To keep clutter down around the camera, internal ND filters allow remote-controlled rapid response to changing light conditions. To facilitate remote control action of camera functions from iOS or Android devices, the MINI contains built in Wi-Fi connectivity. The body design is symmetrical so filming can be achieved from any orientation. The interchangeable lens mount can be replaced with any other mounts designed for the AMIRA, so B4 and EF mounts can be used. There are two ALEXA MINI license upgrades available which allow users to get the most out of the camera’s 4:3 ALEV III sensor. The 4:3 License Key enables ALEXA MINI to record ProRes in 4:3, 4:3 cropped or 16:9 anamorphic and to de-squeeze both the viewfinder image and HD-SDI signal. The ARRIRAW License Key enables the camera to record 2.8K 16:9 ARRIRAW both internally and to an external recorder. Open Gate ARRIRAW recording is possible with cameras that have both license keys installed. The ALEXA MINI is looking forward so is suited to next-generation HDR displays which will most likely be influential in defining the future of format standards. Camera speeds of 0.75-200fps allows the Mini to be used for slow-motion as well as HFR shots. 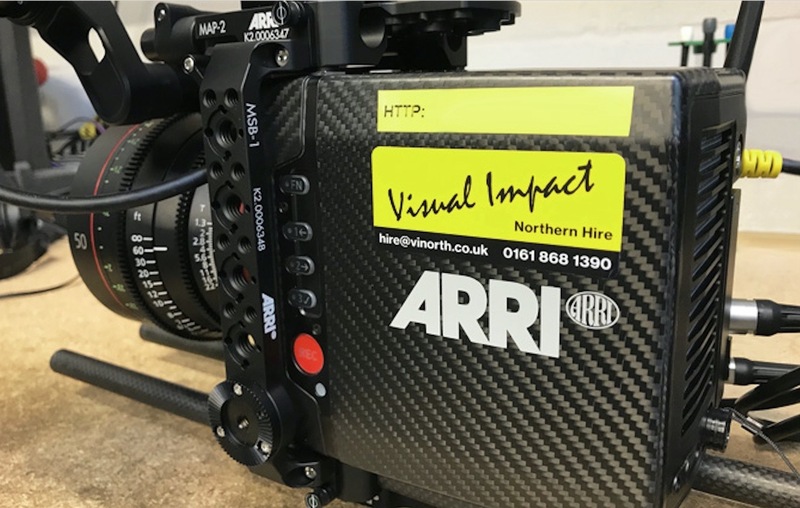 More information on these products can be found in our hire section and if you have any further questions about any of the ARRI products feel free to give us a call.